I had hoped to enjoy Resident Evil 7 for what it appeared to be: a strange, Western approach to the series. I didn't expect it to hark so close to the series' roots while managing to still bring some action and more intuitive controls. Production-wise, this is the best Capcom's ever done, with believable performances (wait 'til you see the Baker's son. Something about him is so freakishly real to me) and wonderfully creepy audio design. With or without VR, Capcom nailed the pulse-pounding atmosphere and I am finally legitimately excited to see what it's going to do next. Though the enemy design could have been more varied, the bosses more than make up for that. The last hour and boss is slightly underwhelming, but everything up to that is consistently amazing. Resident Evil 7 went beyond my expectations, and I feel we have an instant classic here. I want to jump back in right now, and I have a feeling I'll be doing so for years to come. However you play it, Resident Evil’s back. Completely different and yet instantly familiar. Compared to the bloated action of the last few installments this is literally a Resi revelation, executing modern horror ideas, interesting characters, locations, and a fantastic atmosphere to create something that can stand proudly among its sources. It’s about as an essential a horror experience as you can get. Resident Evil is back, and I’m already hungry — starved — for more. It’s good to be home again. I would have been pleasantly surprised with much less than Resident Evil 7 brings to bear. I would have settled for, been excited for "not bad." But the Resident Evil series has thrived for over 20 years now in part because of a willingness to change the franchise, to mutate with the times. Resident Evil 7's changes — especially the shift to first-person — may be off-putting to some. But it's an evolution that fits perfectly into the world and source material Capcom has created. It's hard to know if Resident Evil 7 will stand the test of time as much as classics like the original, or RE4. Taken on its own, however, it's an excellent game that pushes the series in worthy new directions. 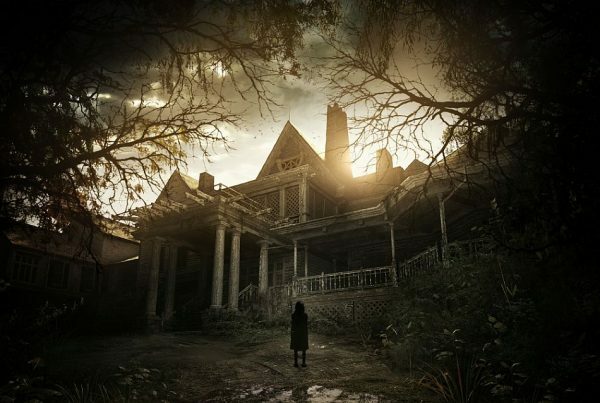 Resident Evil 7 grounds itself in elements that made the original great while still indulging in a risky new shift in style that both helps and hurts the beloved formula in equal measure. But it’s also the closest a numbered sequel has come to recapturing Resident Evil’s slow, but thrilling and atmospheric adventure game roots in a while — a welcome return that I truly hope to see more of in the future. Resident Evil 7 might be the first must-own game of 2017. If you’re a fan of survival horror, then you’ll recognize the tremendous return to form this was for Capcom’s legendary series, and be equally thrilled and terrified by the atmosphere and level of immersion this experience provides. The narrative is driven by a pair of underdogs in Ethan and Mia Winters that you can’t help but root for, and the mystery of the Baker plantation will keep you pushing on well after your voice has gone hoarse from screaming so much at your TV. Resident Evil is back—and I don’t think it gets better than this. RE7 ends just as it starts to outstay its welcome, and after the fact, I felt like I'd survived a truly harrowing journey. The boss fights may be slightly inconsistent and certain sections might drag after a while, but RE7 is still a remarkable success. It has a clear vision and executes it with impressive patience and precision. By returning to horror, Resident Evil has once again become something special. 2005’s Resident Evil 4 was an astonishing redefinition, not only of its series but also, thanks to the introduction of the ‘over-the-shoulder’ perspective, of third-person action games in general. Resident Evil 7’s impact is more localised, but no less effective. Reinventing older game series’ to fit ever expanding technological boundaries while maintaining their quiddity is one of the great challenges in game design. Indeed, it’s one that Resident Evil’s creators have failed to meet on numerous occasions. Resident Evil 7, by contrast, is a masterclass: breezily new, yet quintessentially in character with its illustrious forbearers. Resident Evil 7 didn't just take the series back to form, it perfected it. Sure there will be satisfying combat but not before running around for your life filled with dread. The story and plot twists were entertaining as they were interesting and all the scares that came along with it. The voice actors did a phenomenal job and so did the level designers. There was never a time where I felt safe and ready to take on the next challenge. Old schools fans of the franchise will love this outing and is a perfect opportunity for new fans to hop on board. Just don't burn the midnight oil alone. (Google Translated and slightly tidied up) Limited supplies, heavy atmosphere, puzzles to solve, all with a difficulty dosed well. Yes, it's a good game! The first-person view is a success, the graphics are perfect, the game is fluid and optimized, global release for a multiplatform game, Capcom has successfully bet its hand: this Resident Evil is a success despite a playtime reduced to about twelve hours and a bit lighter on content than some entries. Playing through in PSVR almost makes it a second game, hopefully Capcom brings HTC Vive / Occulus Rift compatibility one day to PC, but it's clear that we have a nugget for VR in RE7. I would even go so far as to say that it is the only must-have PSVR game at the moment. The ball is in the camp of Capcom: we would love to have added content to the game, simply because by the end we were left savoring for more. We expect DLC Capcom, or to see a sequel! Resident Evil 7 is a much better Resident Evil game compared to Resident Evil 6 but it’s not this generations Resident Evil 4, actually it’s quite far from it. It’s also far from being a bad game, actually it’s a pretty good game that’s worth purchasing but the issues keeps it from reaching it’s full potential. Should Capcom continue with the first person Resident Evil games? It really depends on if they are actually committed to this new approach, and are not just cashing in on the virtual reality craze currently. Credit to Neogaf for the info. Last edited by aris13; 01-24-2017 at 01:13 PM. Last edited by Zombie Fred; 01-24-2017 at 03:36 PM.